When you first moved into your home you probably had a thorough inspection of your plumbing. Since then have you had it checked, even once? If you haven't, you're in the majority. Most people don't think about their plumbing systems until it's too late and water is shooting out somewhere it shouldn't be. That's why emergency plumbing services are some of the busiest businesses in town. By taking the time to call a professional plumber for preventative maintenance service now, you can save yourself from a huge plumbing headache in the future. Our Fremont plumbing contractors are courteous, professional, reliable and always willing to explain what went wrong and how you can prevent it in the future. We strive to provide fast and efficient service without ever compromising workmanship or quality. We are proud to offer Fremont plumbing services and know that each of our customers is 100% satisfied when the job is done. If you've ever been without hot water for a few days, you probably don't want to go through that experience again. If you've ever been without hot water for a few days, you also called the wrong plumber. Our Fremont CA plumbing experts can get your water heater running again in a matter of hours, not days. Even for a full water heater replacement, you can expect us to get your new water heater installed in under 48 hours in almost all cases. If your water heater is more than a decade old, chances are that it's drastically less efficient than other, newer water heater models that are in your price range. We can even introduce you to new kinds of water heaters, like tankless on-demand heaters, that can better fit with your lifestyle by providing that precious hot water in new, smarter ways. Call us today to learn more about our hot water heater repair and replacement services. We Want To Be Your Go-To Plumber in Fremont for Life! Our Fremont plumbing contractors are from the area, and are familiar with the common plumbing issues of northern California. We provide our customers with consistent, high-quality plumbing work and we take pride in developing and maintaining long-term relationships with all of our Fremont plumbing customers. 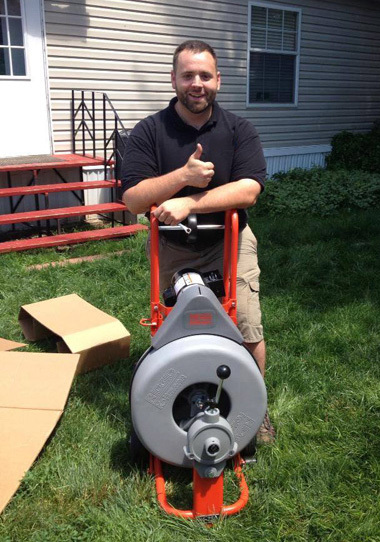 We strive to make our plumbing services personal and make each customer feel appreciated. Our Fremont plumbers will take the time to talk with you and listen to your concerns, and we guarantee an upfront cost estimate before we start any work – that means no surprises for you later. We are fully licensed, insured and bonded for Fremont plumbing service, which means you know you're getting a quality plumbing service. Our Fremont CA Plumbers Are Ready to Help! Sometimes it seems like your plumbing system has a mind of its own. At any given time, your garbage disposal might learn how to make a new, troubling noise. Or maybe your water heater decides to take a vacation at eight in the morning. Or maybe your toilet decides that your bathroom would make a better swimming pool. There is no shortage of ways that your plumbing system can go wrong. When that happens, we'll be here for you. Our plumbers in Fremont can handle whatever your plumbing system can throw at us, from the quickest problems to the very worst. Whether you need a plumber at high noon on new year's day or in the middle of the night, we'll get a fully trained and fully licensed professional on the road in no time at all. Call now so we can get to work making your plumbing emergencies vanish! Proudly serving Fremont CA with superior plumbing services in 94536, 94537, 94538, 94539, and 94555. 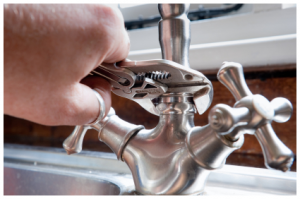 Call us any time with your questions, to schedule a large job, or for fast emergency plumbing service. We're also happy to recommend other great local home service providers, such as Newark Sprinkler Repair and Hayward Roofing.